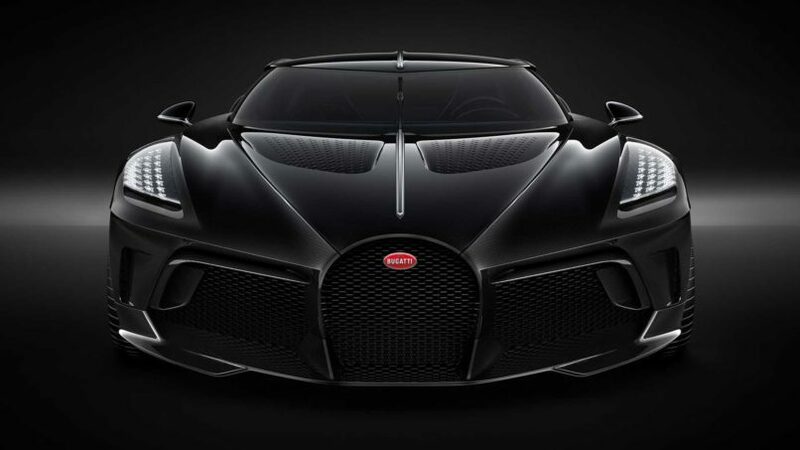 Bugatti’s predilection for architecting outlandishly luxurious road-legal vehicles has led them now to the La Voiture Noire, the most expensive car of all time. 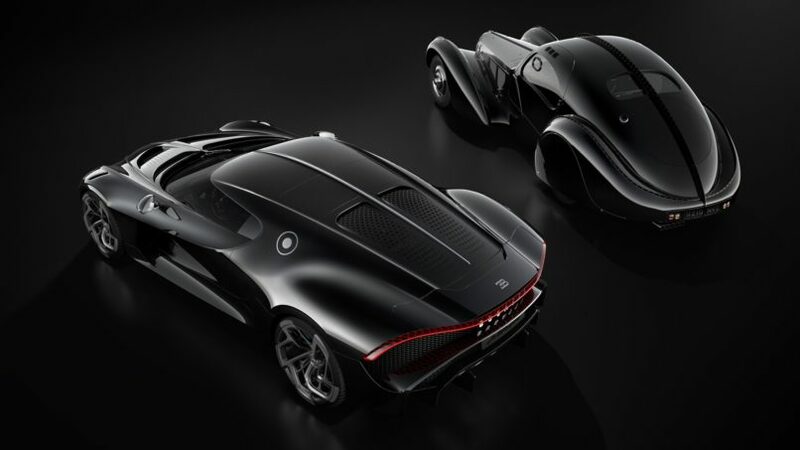 Priced at $12.5 million, the hyper-car pays homage to veteran Jean Bugatti’s (founder Ettore’s son) iconic all-black Type 57SC Atlantic line from 1934, an automotive relic lost in the World War II era that has just four exclusive bespoke builds. While the car was unveiled at the Geneva Motor Show, which started yesterday, Bugatti president Stephan Winkelmann confirmed that the one-off already had a buyer for $18.5 million, surpassing the Rolls Royce Sweptail buy a staggering $5 million margin. Unlike the track-oriented Divo, La Voiture Noire is completely focused on being a grand tourer. 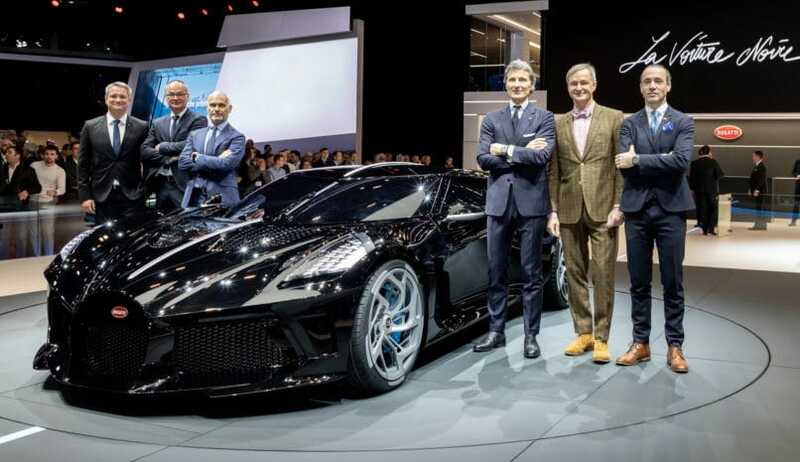 No photos of the car’s interior have been shared, but Bugatti says it has “the comfort of a luxury limousine” and is “the most elegant and fastest way to travel”. The La Voiture Noire sports a thunderous 8.0-liter quad-turbocharged W16 engine that churns out 1600-HP, a 100 more than the Chiron which is notably the world’s fourth-fastest production car after the Hennessey Venom GT. Astonishingly, Bugatti haven’t disclosed any details on its top speed. But with a 100 HP more than the Chiron, the La Voiture Noire shouldn’t be shy of breaking its 261-mph record. And well, its 1,180 pound-feet of raw torque justifies that. However, given the price tag and value, it’s doubtful if it will be actively driven. In terms of design, we see slight resemblance to the Divo’s face but towards its rear, there are updated Chiron silhouettes. The headlights are clusters of small LEDs encased in glass. Triangular perforations on the hood’s twin scoops match the pattern on the engine cover and it has very small slits hidden at both ends, echoing the vents at each end of the headlights. Boasting a straight-six exhaust, the rear end bears a massive grille for engine breathability, we presume and a sleek end-to-end LED taillight. 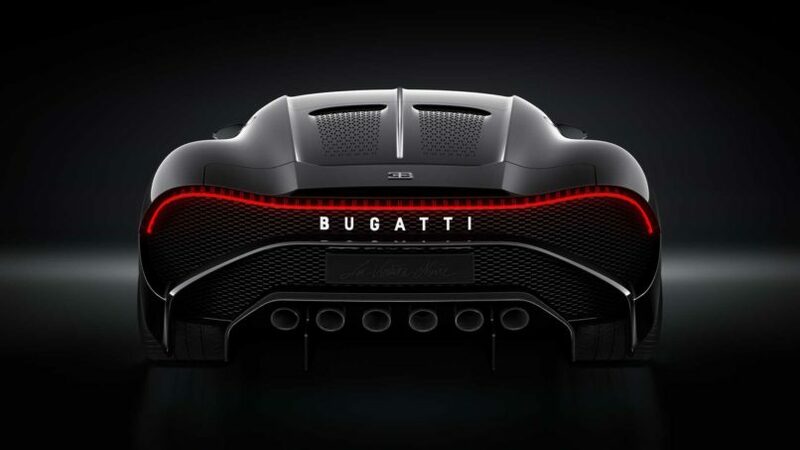 It seems La Voiture Noire has been replaced with bold Bugatti branding, a trademark. Bugatti La Voiture Noire comes with massive alloy wheels and tires on the car feature a virtual alloy wheel extension through the painted part. The customised creation of La Voiture Noire however marks more than its price tag. 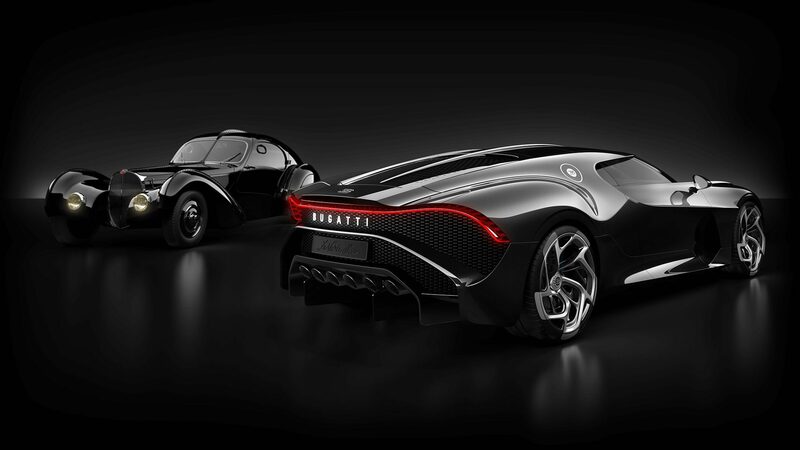 It is a tribute to Bugatti’s own history, a manifesto of the Bugatti aesthetic, and a piece of automotive haute couture.